He guys I'm new here and I'm hoping to find answers to a couple questions I have about a voltage change to my Thorens td145 mkll . This turntable I have is 230v European model . I want to switch it to 110v . 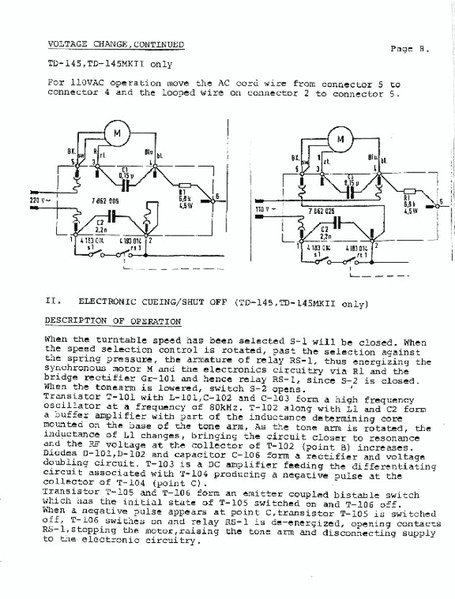 It is my understanding from reading a service manual I downloaded that it consists of me moving 2 wires . I was also told by someone I'll need to change the two piece pulley from the European 50hz to a 60hz to get the speed correct . I have some pictures that I will try to post to show what I plan on doing and hopefully there's a Thorens guru on this website who can if what I'm doing is correct and if not the correct things to do ? 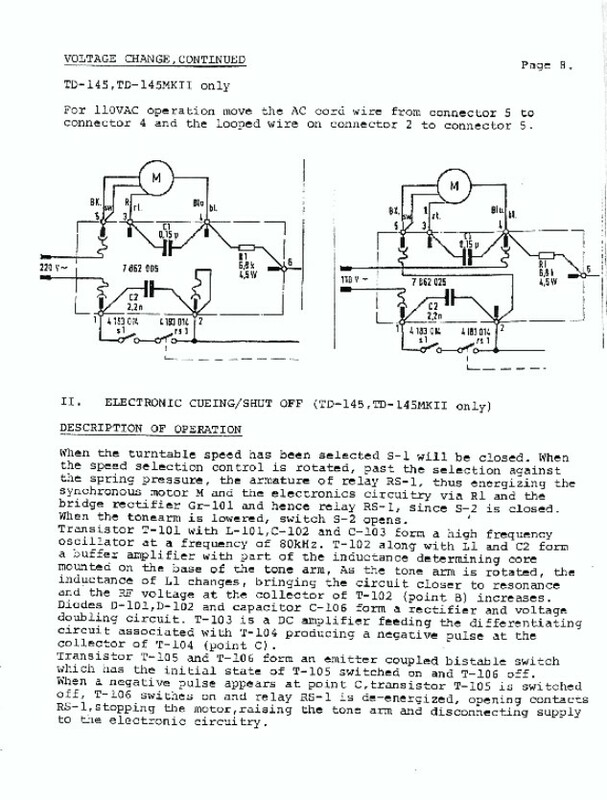 So the service manual says for 110 vac operation I need to move the ac cord wire from connector 5 to connector 4 and the looped wire from connector 2 to connector 5 . Now because the schematic I have isn't the greatest you have a hard time reading wire colours and it doesn't really tell what connector is what connector , but by looking at all the wires I have determined that the brown wire is connected to connector 5 and there is only one looped wire so I'm guessing it is connected to connector 2 . Now my question is I move the brown wire from connector 5 to connector 4 . Now it says move the looped wire ( red ) to connector 5 . Question do I move the whole looped wire or just one end of the looped wire to connector 5 ? The other thing is there are 3 relays or diodes or rectifiers , I'm not sure what they are but I will try to post pictures of them as well . One is connected to connector 1 and 2 . The second is connected to 3 and 4 . The third is connected to connector 4 and 6 . 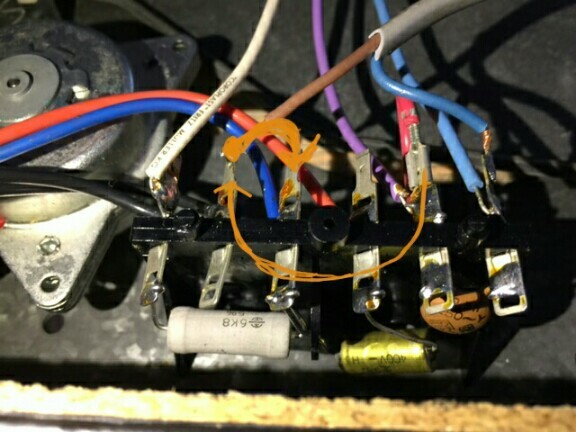 That is based on my assumption that the brown wire (connector 5 ) and red looped wire ( connector 2 ) being correct . 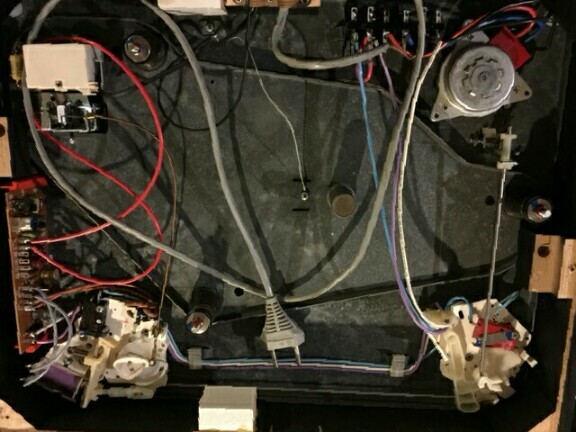 So looking at my pictures of the guts of my turntable and assuming I have the connector number correct I will tell you which coloured wires are connected to which connectors . Connector 1 has 2 blue wires one is one of the power plug wires . Connector 6 has a single white wire . Hopefully I haven't made this to complicated . Edited 1 time(s). Last edit at 02/13/2017 11:26PM by Captaink. First off, welcome aboard. I just peeped your soundcloud disco mix "In My Spaceship" and it sounds dope. Secondly, I don't know how many electronics experts are in here but I'm guessing there aren't many if any. Seems like a complex issue that you've done a great deal of research for and you're probably more of an expert on that situation than anyone here. That's what this sub is for so thanks for dropping your question. I'm no expert on this myself but after a little searching I came up with this similar topic. I know it's not a specific answer to your question but it might shed a little more light on the matter. Again thanks for joining and please follow up here with us if you find your answer for the sake of being a good reference for the next group looking for answers. Not a Thorens guru but I do know that pulleys often need to be changed when changing voltage on a belt drive turntable. If you need parts and advice I'd try the Vinyl Engine forum or hit up the Vinyl Nirvana guy that does Thorens resto work and sells parts.